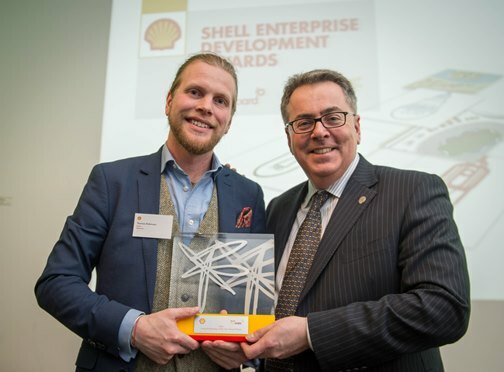 On 23rd March Tom pitched the concept of Breathaboard and Adaptavate’s work to a panel of judges as part of the Shell LiveWIRE award and was chosen as the Entrepreneur of the Year 2015. Shell LiveWIRE supports entrepreneurs aged 16-30 with innovative business ideas that pave way for a more sustainable future. Adaptavate secured a cash prize to develop Breathaboard, in addition to mentorship, coaching and online business support. Alex Sleigh, Investment Director, London Business Angels. The event brought together the national finalists from both Shell LiveWIRE and Shell Springboard programmes. 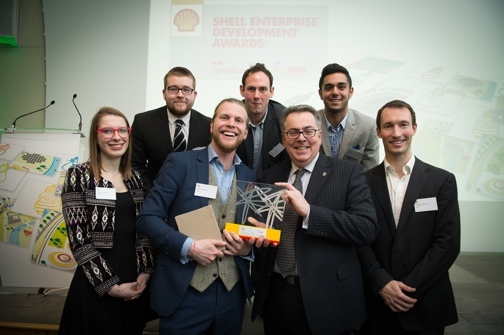 “Many congratulations to our Shell LiveWIRE and Shell Springboard winners! The Shell LiveWIRE Young Entrepreneur of the Year winner, Tom Robinson of Adaptavate, and Shell Springboard National Winner, C-Capture, are inspiring examples of how combining bright ideas with an entrepreneurial approach can help us meet the UK’s low carbon challenge, without compromising our economic prosperity. 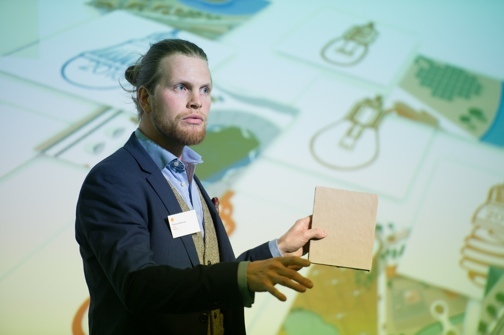 It was a great event at the Royal Academy of Engineering where we could show off our most recent prototypes and ideas for the future of bio-based materials to a diverse delegation along with some other really progressive, low-carbon start-ups. Winning the Shell LiveWire award is a great endorsement of the work that we are doing at Adaptavate and recognises the innovative approach we are taking to building materials. This support will be used to catalyse the production development of Breathaboard so that we can start to fulfil the pre-orders that continue to come in!